The Nigerian Army on Saturday begged religious, traditional and community rulers in the North-East to dissuade parents from donating their children to Boko Haram. The Director, Army Public Relations, Brig.-Gen. Sani Usman, who said this in a statement, noted that this appeal was consequent upon some “revelations” made by some arrested suicide bombers. He said, “The Nigerian Army wishes to appeal to religious, traditional and community leaders, as well as all well-meaning Nigerians, especially in the North-East of our country, to help dissuade people from donating their daughters or wards to Boko Haram terrorists for indoctrination and suicide bombing missions. “This appeal became expedient in view of recent revelations by some intercepted female suicide bombers during interrogations. It was discovered that most of these hapless minors were ‘donated’ to the terrorist sect by their heartless and misguided parents and guardians, as part of their contribution to the perpetuation of the Boko Haram terrorists’ dastardly acts against the Nigerian society and humanity. “The acts of these parents and guardians are not only barbaric, but condemnable and unacceptable. Nigerians have a responsibility and obligation to collectively mould our children and wards. Meanwhile, Boko Haram terrorists have so far used more than 145 girls in suicide bombing missions between January and July 2017. 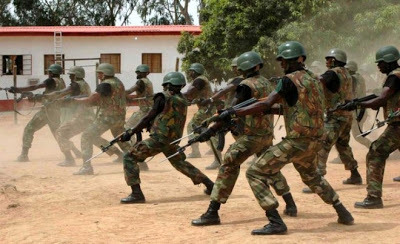 The figure, sourced from the military anti-insurgency operation, Operation Lafiya Dole, the National Emergency Management Agency and the Borno State Police Command could be higher as some suicide missions might not have been reported to the agencies. It was gathered that while Boko Haram terrorists also made use of male bombers to attack mosques and military locations, there were more females deployed in the months reviewed. The other locations where the terrorists deployed the girls strapped with locally made Improvised Explosive Devices were, internally displaced persons camps and villages. It was learnt that the most affected areas where the radicalised girls struck in the seven months included Muna Garage, Mammanti village, Jiddari Polo, Ummarari and Dalori, all in Borno State. A breakdown of the statistics showed that in January, at least 15 girls died, while 10 casualties were recorded in February. Also, there were estimated 15 deaths of the female bombers for March, April and May. June and July, however, witnessed an upsurge and claimed about 30 girls each. Some highlights in January indicated that, on January 16, two female bombers were killed in Baran Kaura village, Borno, while two other girls were killed in Kalari area, while trying to gain entry into a mosque. Also in February, two female bombers died behind the Mega Filling Station, along Maiduguri-Damboa Road, while on February 17 and 24, four female bombers were killed in Muna Dalti and Banki areas, respectively. The Defence Headquarters admitted that the Boko Haram terrorists sent out the girls on suicide missions with babies and IEDs strapped to their bodies. Some of the incidents in March were two female bombers killed on March 13, while attempting to enter Maiduguri through Ummarari area, while four female bombers died after detonating in Usmanti area along Muna Garage, two days after. In April, two female bombers died in a mosque in the Jiddari Polo area, while on April 26, NEMA confirmed the death of four female bombers, who attacked Muna Garage and Muna Usmanti areas of Borno. On May 3, three teenage female bombers were killed, while trying to attack a military base known as Gontanamo in the Muna Garage area. The corpses were evacuated by NEMA workers. Four female bombers died on June 19 in the Dalori IDPs camp and Dalori Kofa village, after killing 16 people. It was also observed that in July, there was a further upsurge in the spate of female suicide bomb attacks, also attested to by the police and the army authorities. The Borno State Police Command on July 12 confirmed the death of four female suicide bombers who detonated at a funeral, killing 12 Civilian Joint Task Force members and injuring 23 other persons. Also, the Deputy Director, Army Public Relations, and 7 Division spokesman, Lt.-Col. Kingsley Samuel, confirmed that eight female bombers were killed in another incident in just one week. He said, “Two female bombers trying to infiltrate military locations in Mammanti Village, Borno on July 16 were neutralised. Also, three bombers were killed by troops on July 22, while trying to attack Kawuri in the Konduga Local Government Area of Borno State. “The bombers were unleashed by the remnants of the desperate Boko Haram insurgents to cause mayhem to the civilian populace,” he said. There were, however, a few occasions when the girl bombers were rescued before detonating their IEDs. The Borno State Police Command had on February 7 arrested an 18-year-old female bomber, behind Mega Filling Station in Molai, Maiduguri area, among other cases.